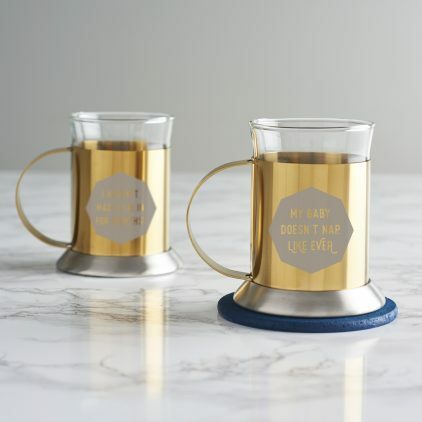 This personalised gold mug is the ideal new mum gift for those who need a caffeine boost the most. 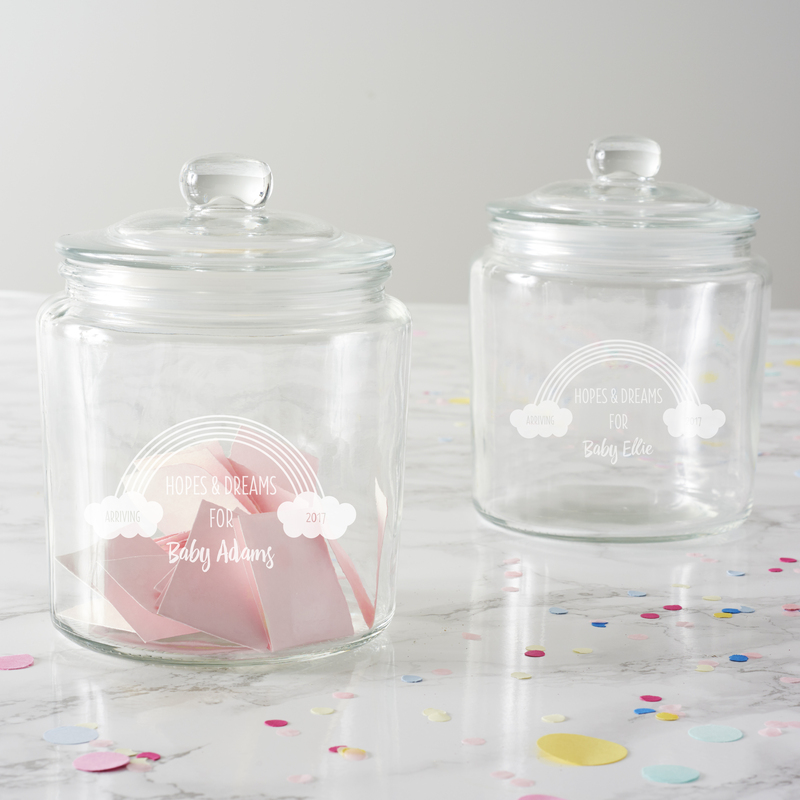 A personalised baby shower jar which will become a special keepsake for the family. 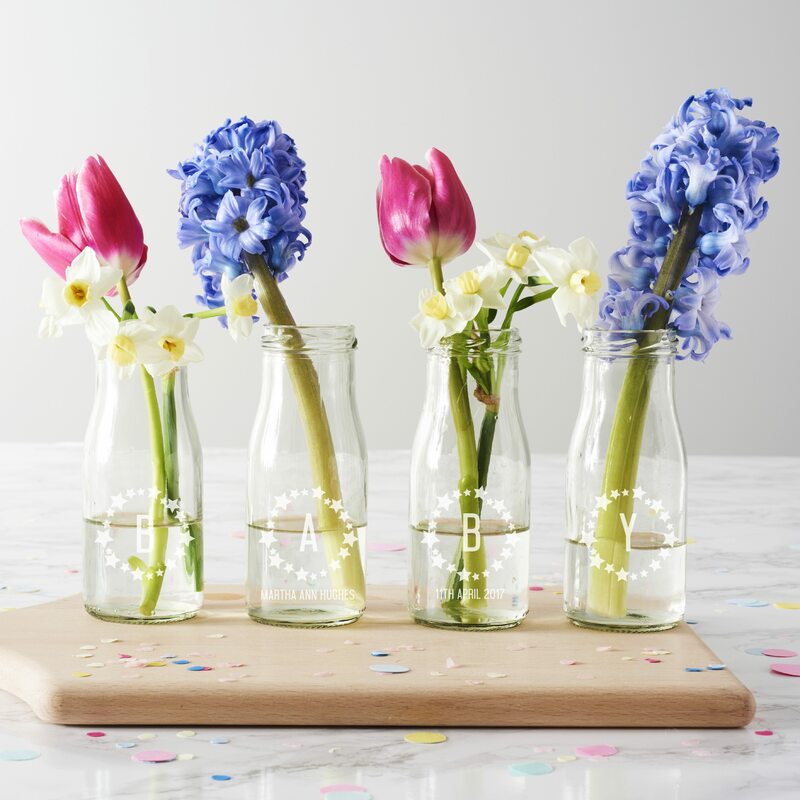 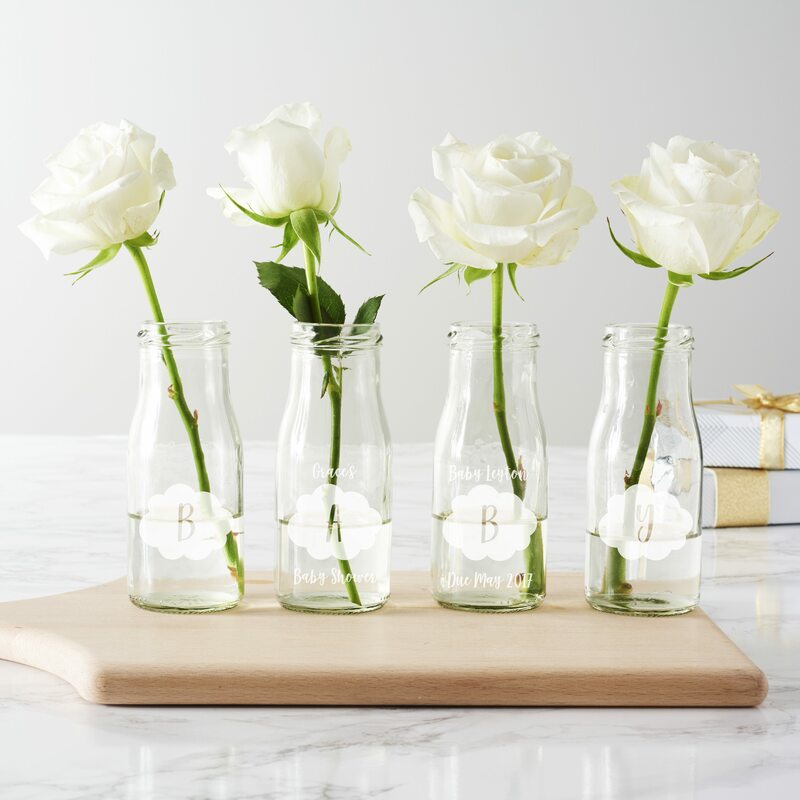 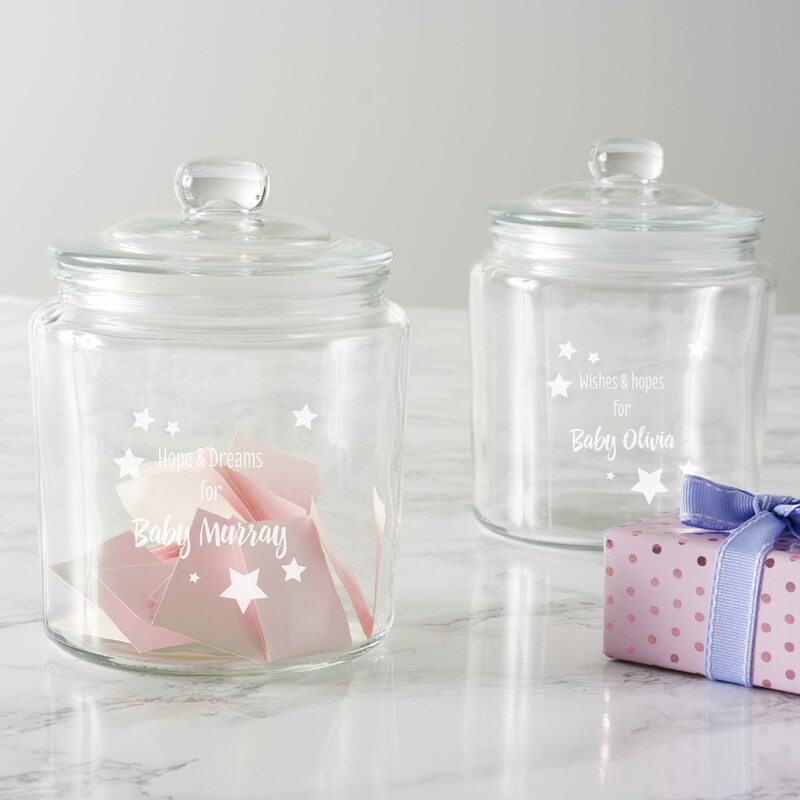 A personalised baby shower jar to store special messages from friends and family.